Fitted 3-sided table cover drapes the top, front and sides (open back) of a 4 foot standard table. Fitted table covers are finished with a rolled hem. 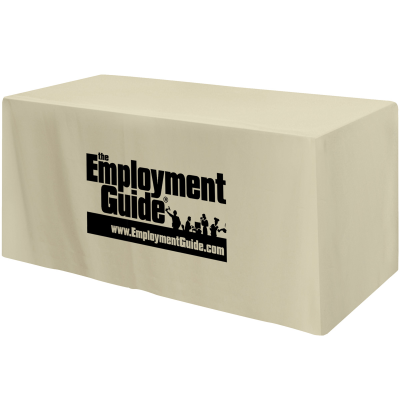 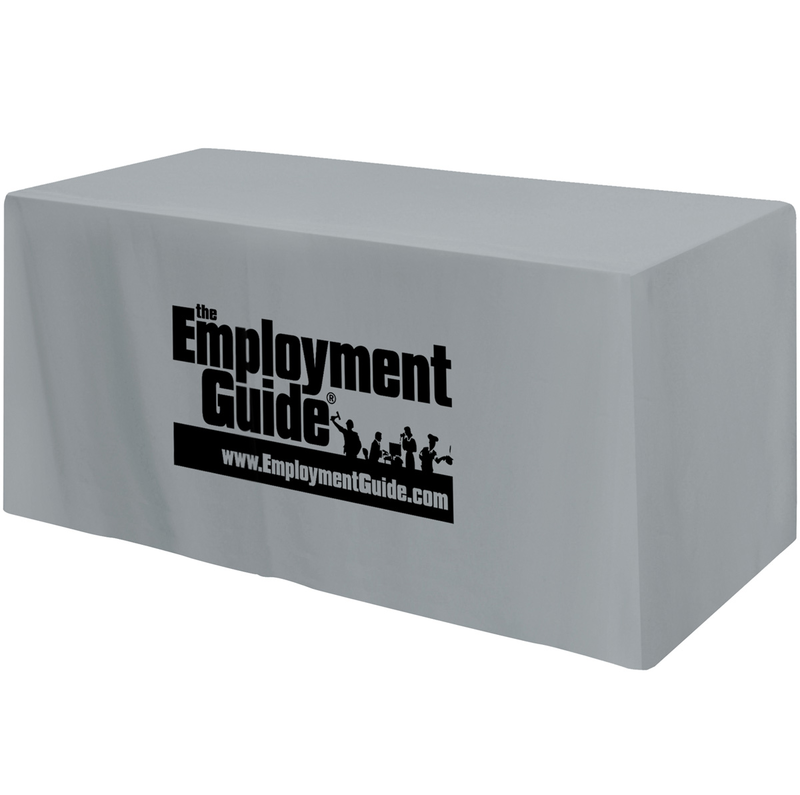 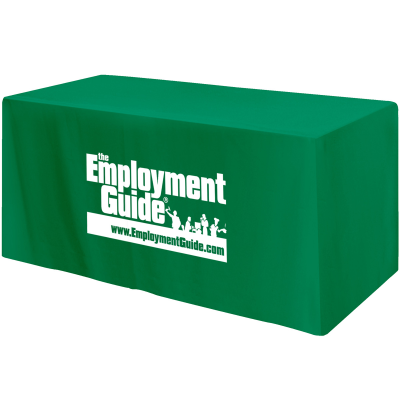 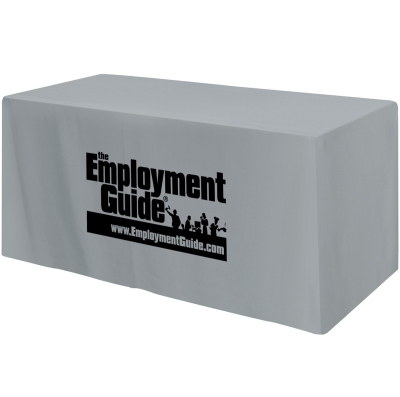 The seam around the top of the table cover provides a tight fit on the table, providing extra durability and preventing frayed edges. Table covers create a finished look to your presentation.